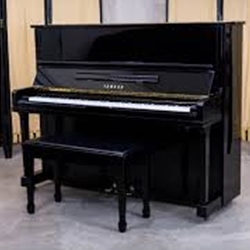 The Yamaha Model U1, 48" Professional Upright piano is one of the best selling models in history. Our U1 is like -new. It has been re-pinned, restrung, refinished and its action completely reconditioned. Price includes match adjustable artist bench, in-home tuning and a 10-year warranty on all parts and labor.